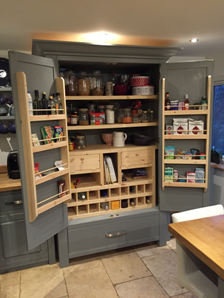 A Slim line design with simple straight sides and an elegant moulded top. 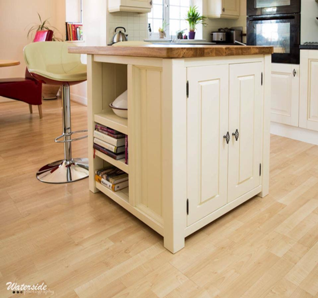 The Tewkesbury range is constructed from 20mm Pine or Oak and finished with a 45mm Solid Pine or Oak top. The backing is made up from 10 x 0.5cm paneling. 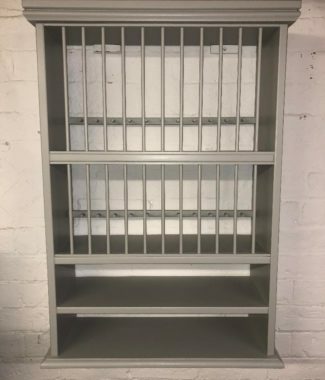 These racks are ideal when a tall and thin space is available. 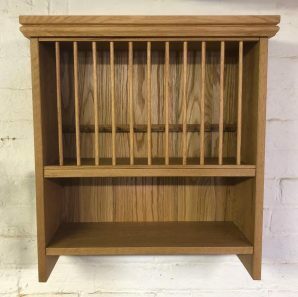 The Tewkesbury Plate Rack will hold 12 dinner plates up to 29cms and 12 starter/side plates up to 24cms and a 12cm shelf. 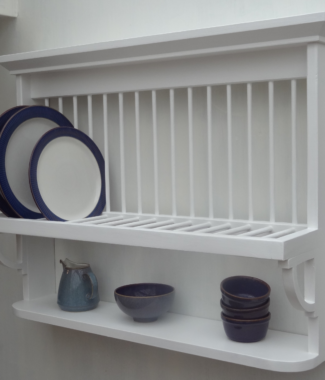 The Tewkesbury Plate Rack comes with the option of either wine glass holders or cup hooks. 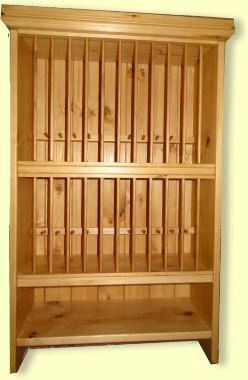 The Pine Plate Racks are finished in Antique Pine, Rustic Pine or Dark Oak all of these coloured waxes are from the Bri-wax range. 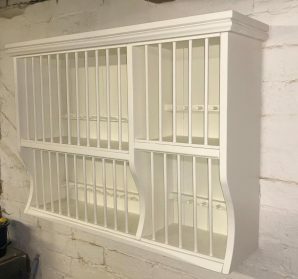 Painted Plate Racks finished in your choice of Farrow & Ball. 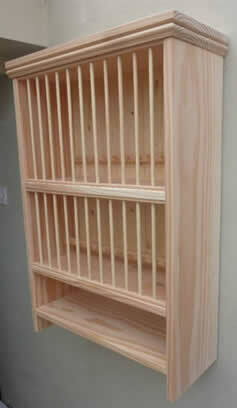 Oak Plate Racks finished in danish oil. 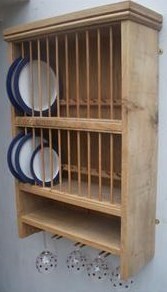 There is also a single tier Tewekesbury Plate Rack. The plate rack has arrived safely, it’s perfect! Thank you very much. We’ll send a photo once its up.